The United States is made up of 50 federated states that share sovereignty with the federal government. Because of this, an individual can be a citizen of both the State and the Federal entity simultaneously. This comes from the United States Constitution, which gives power to the both the state and federal government. The U.S. state’s power is specifically delegated by the constitution in the 10th amendment of the Bill of Rights which says that any power that is not given to the federal government or is then received by the States or to its people, as long is the power has not been specifically prohibited to the states. With certain amendments and interpretations of the Constitution, there has been an increasing trend of the federal government playing a stronger role. U.S. states have the power to organize their governments however they see fit as long as it is constitutionally sound and it is a republic. Most states have used a three-branch system that imitates that of the Federal government, with an executive, legislative, and a judiciary branch. •	The executive branch of a U.S. state is led by the governor, who is the chief executive. He leads the Cabinet of the State in states that have a plural executive and has the power to veto legislation. •	The legislative branch of a U.S. state is usually a bicameral legislature (the exception being Nebraska’s unicameral legislature). There is the state Senate, which is the upper house, and the lower house which can be the State Assembly, House of Delegates, or the House of Representatives. •	The organization of the judiciary branch can vary between U.S. states, but their purpose is to still protect an individual’s Constitutional rights through due process. Many states have different levels of courts, from trial level, to the first appellate, and the state Supreme Court. 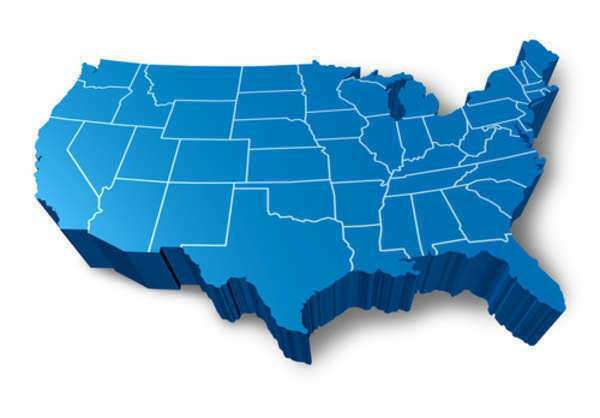 With the exception of Louisiana which uses civil or code law, all U.S. states use common law. The U.S. started with just the original 13 and since then has expanded to 50 states. Article 4 Section 3 of the Constitution points out that while new states can be admitted into the Union by Congress, the new state cannot be made up from jurisdictions of other states, or the combination of multiple states, whether partially or fully, unless all involved state legislatures and Congress agree to it. However, most states have been incorporated after being a territory organized under Article 4 section 3’s Territorial Clause.